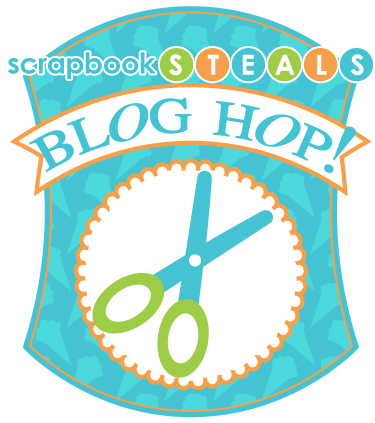 Welcome Scrapbook Steals Blog Hoppers! I wanted to use the ribbon a little differently than one might expect. 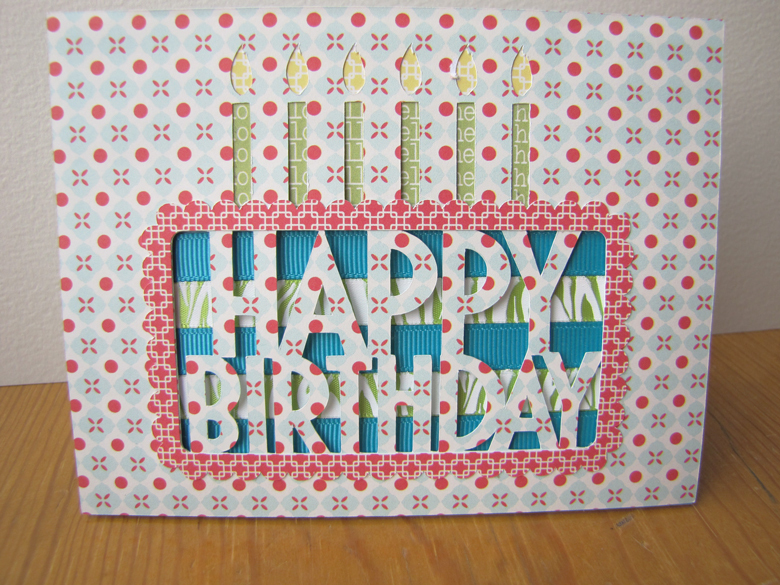 Using my die-cutting machine, I cut a frame and felt it needed some streamers inside it. 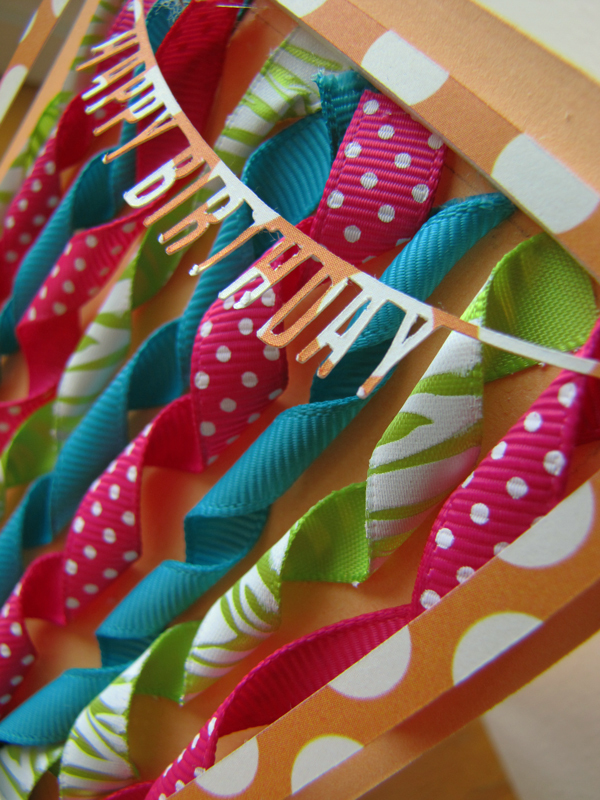 I ran adhesive across the front of the card, glued down the top of the ribbons and twirled them and pressed them down into the adhesive as they went down the front of the card. I really like the fun and dimensional look this gives. The frame is attached with dimensional foam adhesive at the top and bottom. 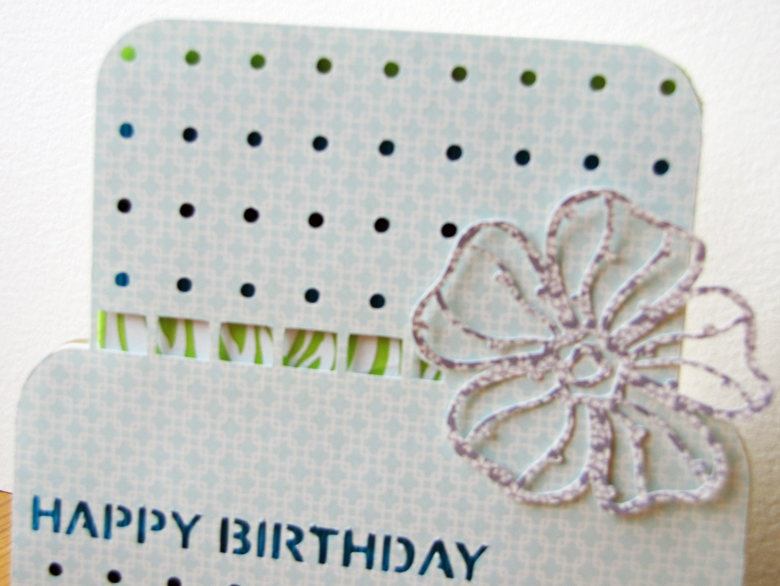 With this cake die-cut I felt like the ribbon would be like the layers of the cake and simply glued it down to the card base and popped up the die cut with dimensional adhesive. 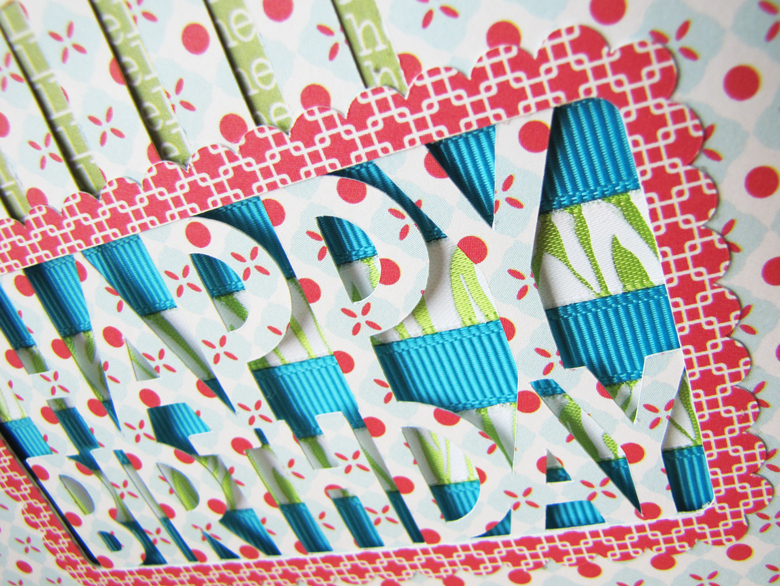 Finally, I had a die cut with cuts that looked perfect to weave the ribbon through. I just love that lime green print ribbon – I think it adds so much to this cake! I backed the dot cuts with the black print, turquoise and green ribbons, but turned the green upside down so it would be a solid instead of the print. 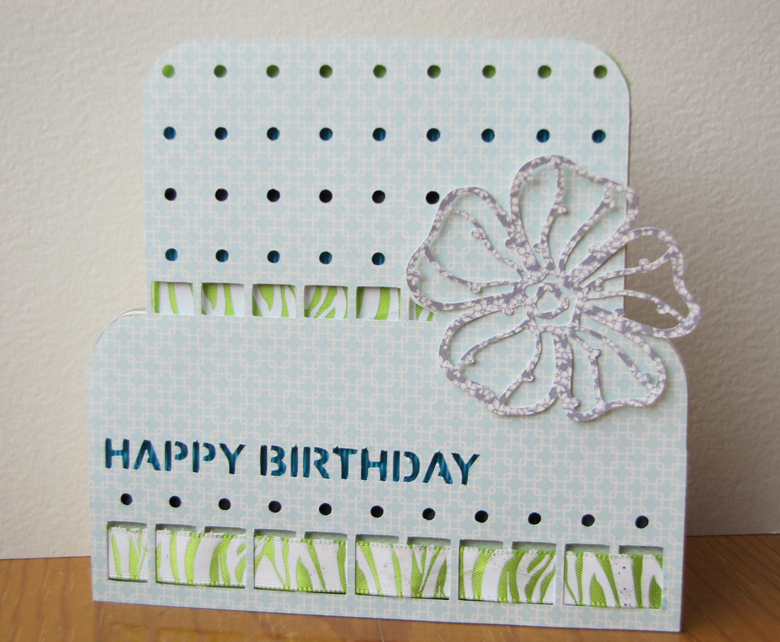 I also backed the “Happy Birthday” with the turquoise. Can you see? 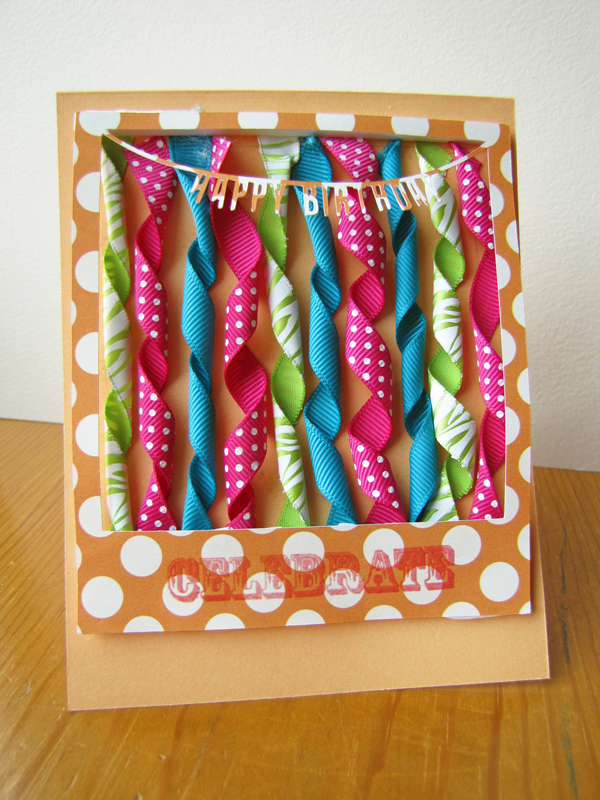 I hope you’re inspired to do something fun with ribbon! 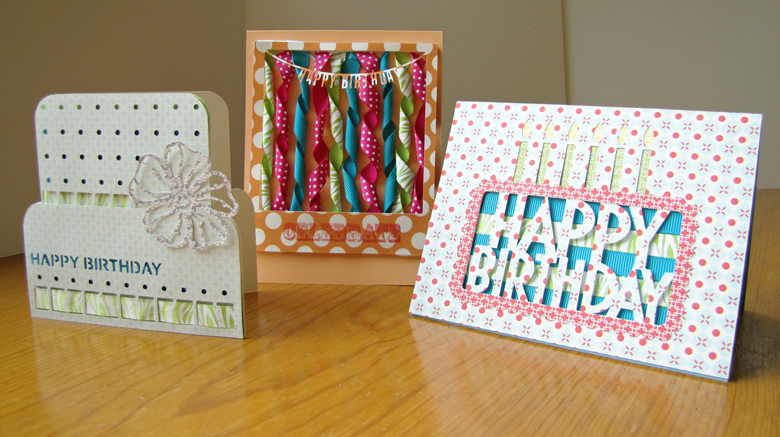 I am certainly glad to have 3 new fun cards created! I’m the last stop on the hop! 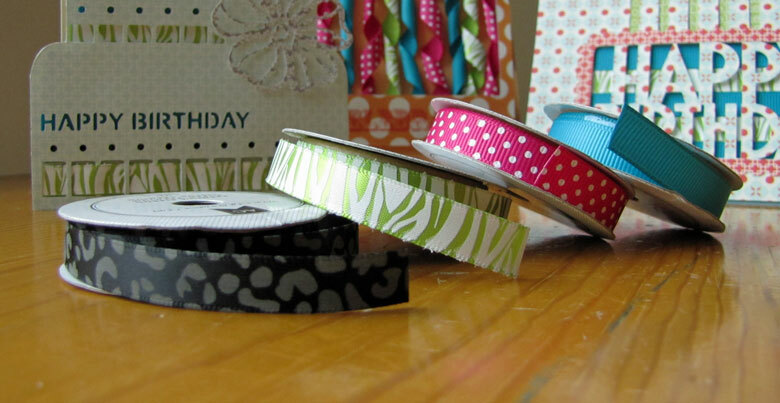 Be sure to bookmark or follow the Scrapbook Steals blog for all sorts of Scrapbooking and papercrafting inspiration!